Bring people together. Build community. Create something new. Inspire toward something bold. ​make music, create art, and gather as many other people as I can to join in. When we are working together ... singing together ... dreaming together, we overcome barriers of class, race, and ideology to discover our deeper connection - our humanity. As a music educator and choral director for more than 30 years, I have worked with all age levels and abilities. From public school music, to community children's choirs, to church children & adult choirs, to the podium of professional orchestras and choral organizations, it has been my priviledge to bring musicians and artists together and move them to the highest possible expression of our art. I have the skills and abilities required to take an idea from concept to completion - and bring a couple hundred people along for the ride. Vision, development, planning, funding, marketing, team building, delegation, vendor relations and facilities management all come into play. As an accomplished guest conductor and Festival director, I get to work with large collections of excited singers and instrumentalists ready to make music at a higher level. I have extensive experience as an adjudicator and clinician, working with Festivals and universities in that capacity. I am able and willing to create and lead workshops for teachers or students tailored to their specific needs. Along with my career as a choral director, I continue to perform as a solo artist and choral musician. I bring all of these experiences to my teaching and to my students. Private instruction offers a time of growth for student and teacher as we explore the voice and all its capabilities. As work continues on a "sister school" relationship with Kingswood Oxford School in West Hartford and the Musikschule Filderstadt in Baden-Wurtenburg, Germany, Steve Mitchell was invited to tour and lead workshops at the FILUM. Just south of Stuttgart, this southern German town has established itself as a center of music and arts development for young people. And the FILUM is leading the way! ​Mr. Mitchell spent time with the adult vocal ensemble "Stimmband" who specialize in Acappella repertoire from around the world. The session focused on vocal production, the physical vocal mechanism, and healthy singing practices. There was also an exchange of repertoire, with Mitchell teaching two selections: a Gospel setting of Pass Me Not O Gentle Savior and the Ysae Barnwell work We Are. Mr. Mitchell also observed the work being done in the town Primary Schools known as "SingGrund". This program works with students and teachers to integrate singing into their curriculum by offering singing instruction to classroom teachers and providing musical resources and song collections to incorporate in classroom instruction. 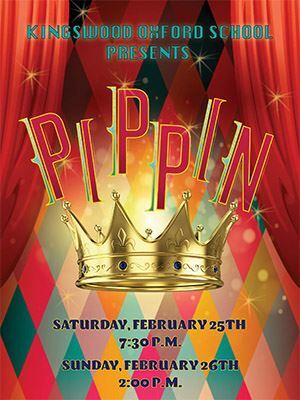 He was honored to work with the students on Solfeg patterns and a rhythm song Hort ihr die Drescher Translation "Hear the Thresher"
​The Theater Department of KO presented three fully staged and choreographed performances of PIPPIN: His Life and Times to exuberant audiences. 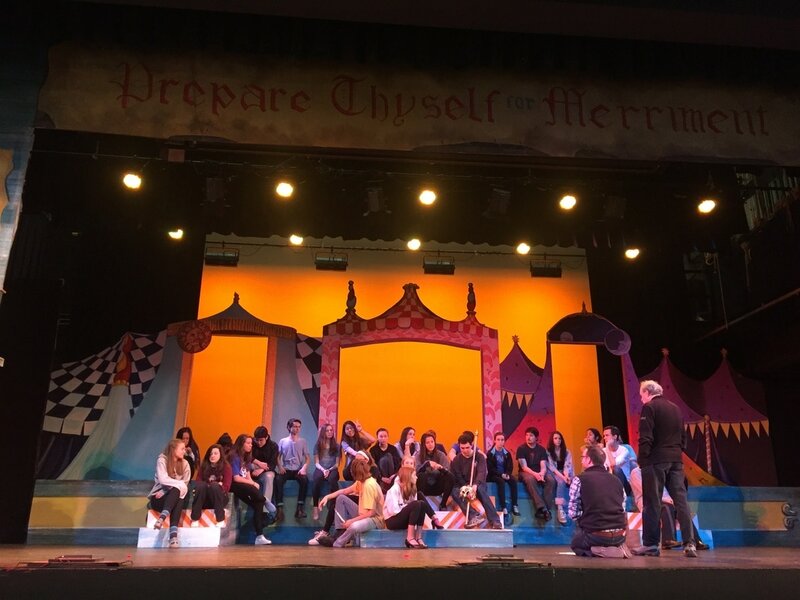 Under the direction of Theater Director, Eric Langmeyer and Musical Director, Steve Mitchell, the cast of 30 worked for almost 10 weeks to learn and master the characters and comedy of this "hero's journey" to self acceptance. 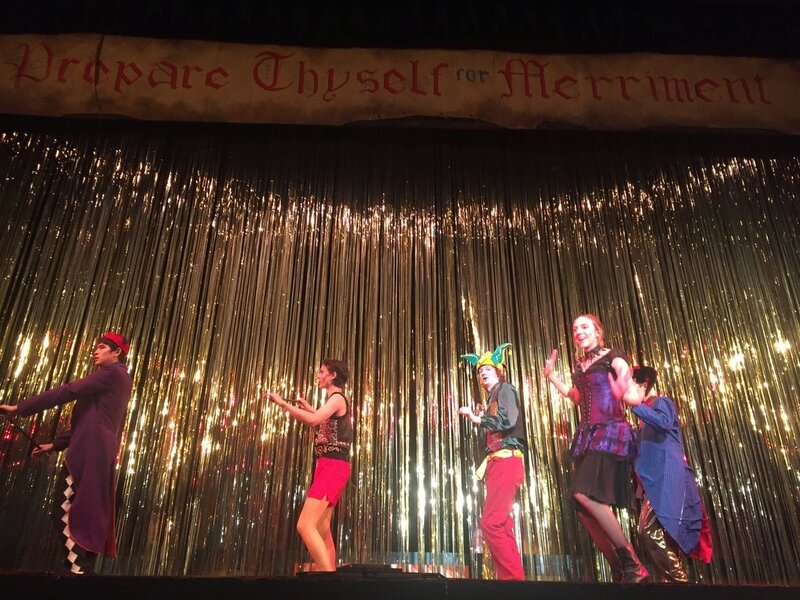 The sets built by KO's Theater Tech Program and Mark Kravitz were vibrant and inviting. And the pit orchestra, made up of professional and student musicians, added a solid and expressive support to the talented singers on the stage. ​​The KO OXFORDIANS, under the direction of Steve Mitchell, and the CRIMSON 7, under the direction of David Baker, offered outstanding performances in this year's WIAF, showcasing both the skills of the ensembles and the talent of the lead soloists. 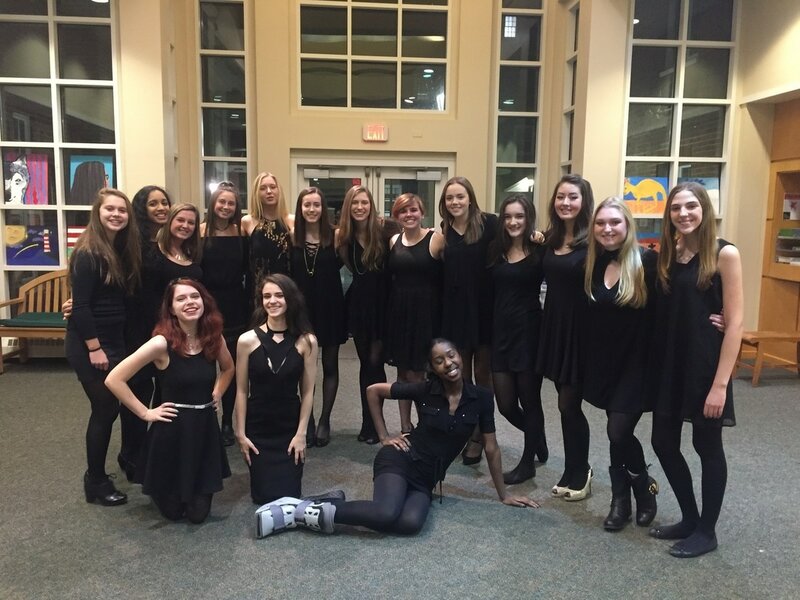 The Festival brings together some of the finest high school a cappella ensembles in CT and MA to perform before a live audience and esteemed judges from local schools, university and professional a cappella ensembles. 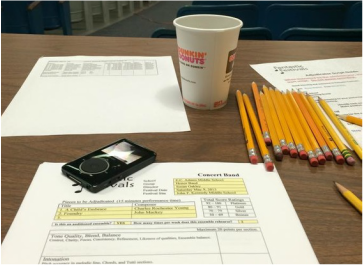 Each a cappella ensemble is evaluated and ranked on a variety of performance categories. The Kingswood Oxford School is proud to host this event, and even more proud that ticket sales support the work of Team Tobati, a KO sponsored, all volunteer 501(c)3 non-profit organization dedicated to improving the lives of disadvantaged youth in Tobatí, Paraguay. ​The full Choral Department of KO came together in early January to showcase all of the great music they have been singing this school year. The auditorium was packed with parents, teachers and friends as the more than 160 singers in the Middle and Upper Schools combined for this triumphant evening of music and song. Directors Steve Mitchell and David Baker presented music from 9 vocal ensembles featuring selections from Baroque to Classical, contemporary to Gospel. A highlight of the evening was the premier of a new composition by KO musical David Marotollo '18 by the vocal ensemble OUTLOOK, under the direction of David Baker. In August of 2016, Steve Mitchell will begin his new appointment as Director of Choral Music at Kingswood Oxford School in West Hartford, CT where he will oversee the Middle School choral program and work with the Upper School choral ensembles. ​Steve was joined by his band Dan Campolieta, piano; Lou Bocciarelli, bass; Charlie Dye, drums, as well as guest soloists Christen Hernandez, LB Munoz, Trudi Lebron and Keila Myles in an evening of songs about love and loss. Steve and his fellow "Fools" for Night Fall raised nearly $10,000 for the annual arts event. 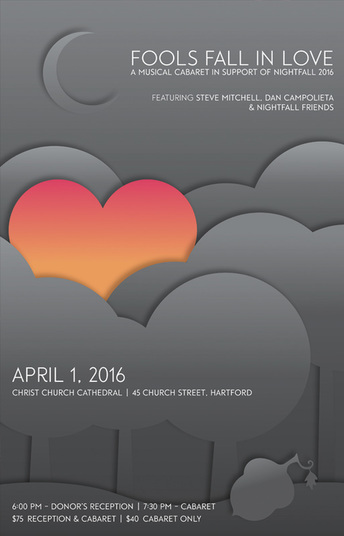 ​All proceeds support the 2016 presentation of Night Fall. More information about Night Fall can be found at www.nightfallhartford.org. Steve Mitchell to conduct the Northern Regional Middle School Honor Choir. Steve Mitchell leaves a legacy of great music at Asylum Hill Congregational Church. ​After 16 years of creative worship, concert promotion, production management and community leadership, I retired from my position as Minister of Music & Arts at Asylum Hill Congregational Church. I have been working as a leader within the structure of the church for nearly 25 years - creating new programing, marketing events, developing community partnerships, cultivating donors, inspiring volunteers, directing ensembles, supervising staff, and managing facilities. I look forward to some time off as I reflect on my personal and professional goals.